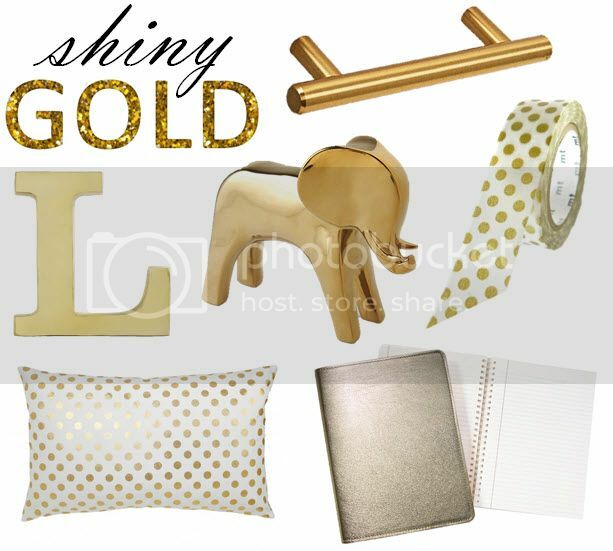 This gold trend is nothing new- it's hot, it's right now, and I love it! That elephant is sold out and I've been stalking the site to see if its back almost everyday. I need him in my life. I've named him Larry. Larry the elephant needs to come live with me. Love the elephant too! It is also sold at www.thezhush.com Granted he's $6 more there but it looks like he is currently in stock right now. Oh I do agree the elephant is a delightful creature to have on the coffee table. Love the elephant and washi tape! indeed i need Larry too! I NEED that CW pillow in my life. You're my kind of person!! I am ABSOLUTELY obsessed with elephants as well! <3 I have way too many in my house but I need more!! Haha! Good to see another elephant lover's decorating ideas!